When I think of staycation in Metro Manila, the areas of Manila, Makati and Pasig always popped into my mind because these cities are bounded by several hotels. But little did I know that another city in the capital region is now also becoming a hub for hotels that are perfect for staycation and alike. That is Quezon City. I don’t normally visit Quezon City before because it is simply too far from where I’m residing. But when I learned that this city also has a number of admirable hotels, my perception about Quezon City has changed. I suddenly got interested. 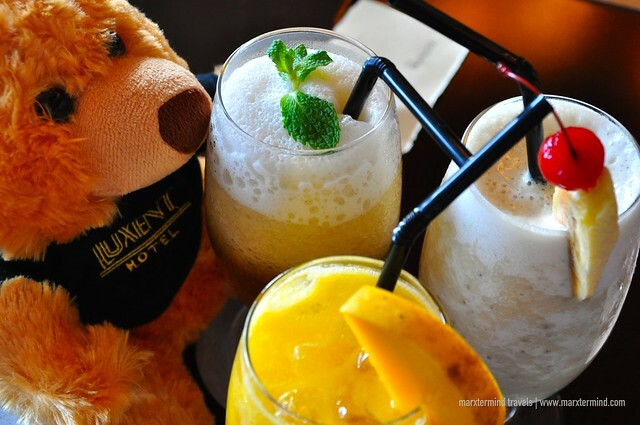 My liking about the city went even more when my favorite buddies and I was able to spend a weekend at Luxent Hotel. 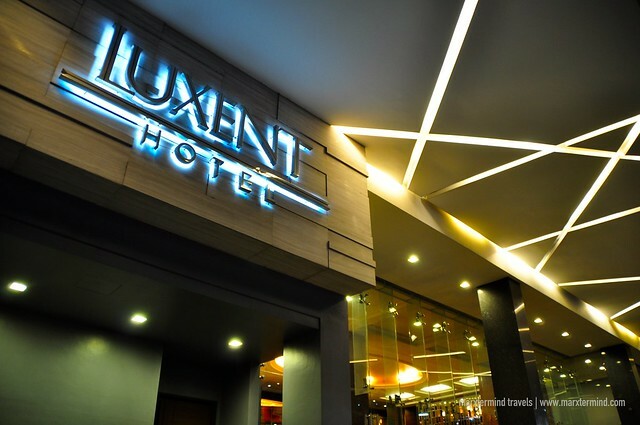 Luxent Hotel is one of the newest and most luxurious hotels in Quezon City. 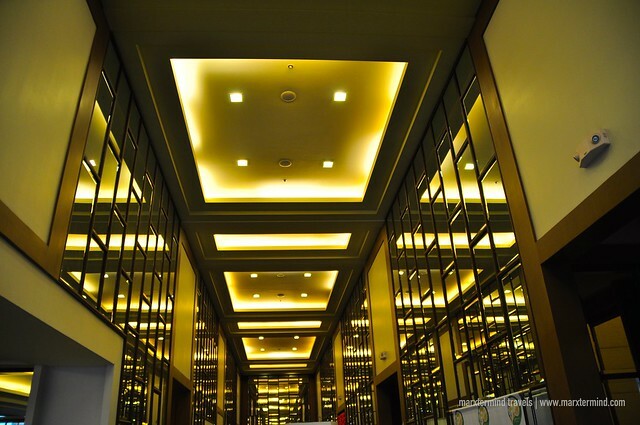 It has 14 floors that houses outstanding rooms and superior facilities. 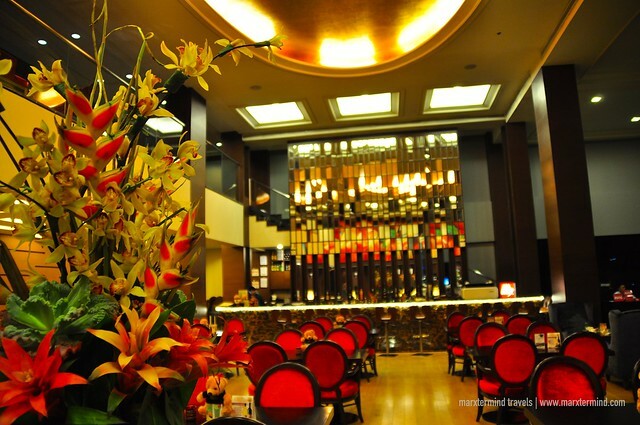 The hotel is centrally located along Timog Avenue, which is known to be a popular nightspot in the city. Getting to the hotel was easy through a 10-minute taxi ride from the nearest MRT station, which is Kamuning. It was past noontime when we arrived at the hotel. 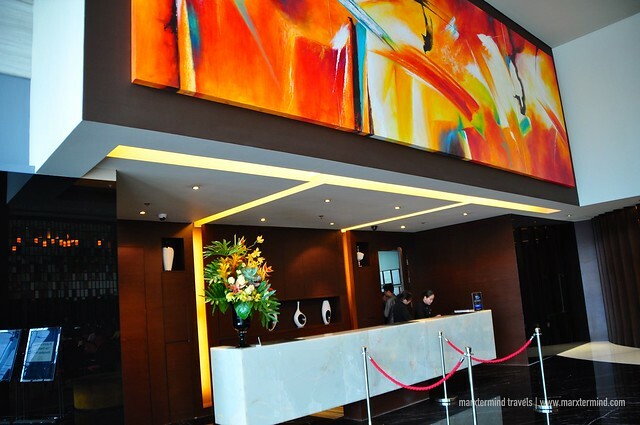 Upon entering the lobby, I was stunned with the feature and vibe of it. It was really nice. It had really changed my thoughts about the city. With its elegant look and cozy feel, Luxent Hotel essentially gives me the reason to make this part of Metro Manila as my base of staycation. 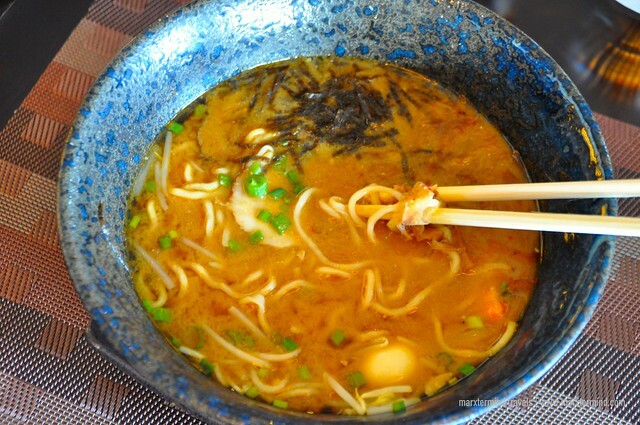 It was after having our lunch at the Lush Bar & Lounge when our group decided to check in to our rooms. Because we will just be occupying two rooms during our stay, only two IDs were borrowed from our group. Carla and I gave ours. We were assisted by the front desk efficiently and in no time, our corresponding key cards were given to us. 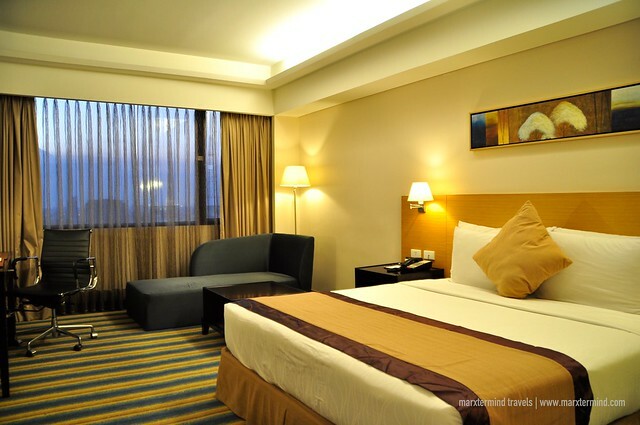 The hotel currently offers four room types, namely; Deluxe King, Superior Queen, Executive Suite and Luxent Suite. The hotel provides utmost value for guests. Each room is elegantly furnished assuring guests to have a relaxed and luxurious stay. All rooms are air-conditioned and has private bathroom. All rooms are equipped with Queen or King Size beds, flat screen TV, DVD player, in-room safe, refrigerator with mini bar set up and telephone facility. All rooms are provided with complimentary coffee and tea making facility, bottled water with daily replenishment and daily newspaper. In-room dining is also available. Each stay comes inclusive of free buffet breakfast for two. Wi-Fi is also provided in all rooms for free. We reserved two Superior Rooms for our group. We were 10 in our group, so each room was occupied by 5. The room has two queen beds. We asked for an extra bed for each room for all of us to sleep in comfortably. The room that we’ve got was a smoking room, which has its advantage because it comes with a spacious veranda. That area was later on had become our party place. 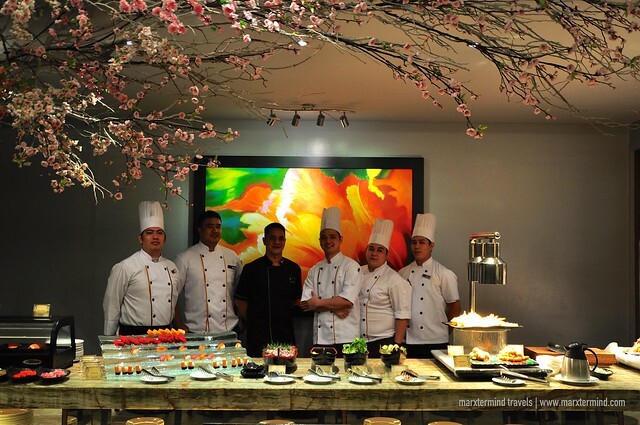 Our stay in Luxent Hotel also happened to be a celebration for Chino’s and Darwin’s birthday. Unfortunately, Darwin wasn’t able to join us but we still pushed through with the party. 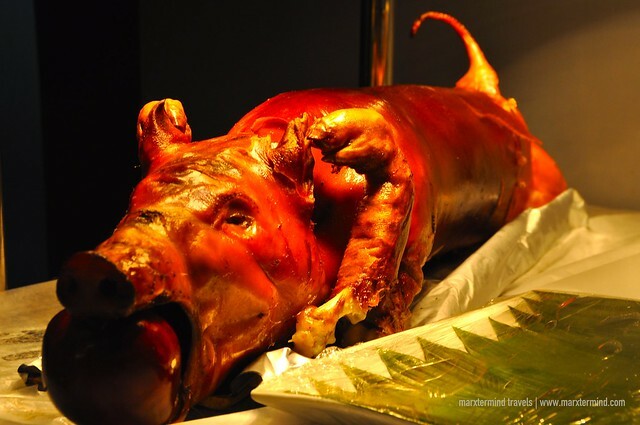 We had Cebu’s Original Lechon Belly, Pancit Batil Patong, 3N Toasted Siopao and beers during the party that lasted until 4:00 AM. The Deluxe King room has a king size bed. It also has a small couch. 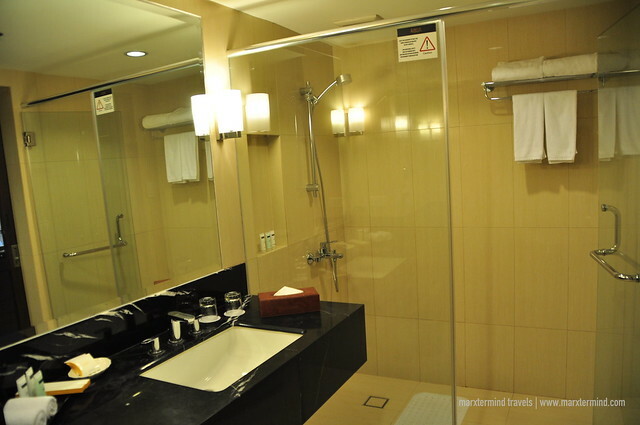 Some of the facilities are pretty the same from what our room is but what is truly surprising about this room is that the bathroom wall is a transparent glass. Nice, isn’t it? 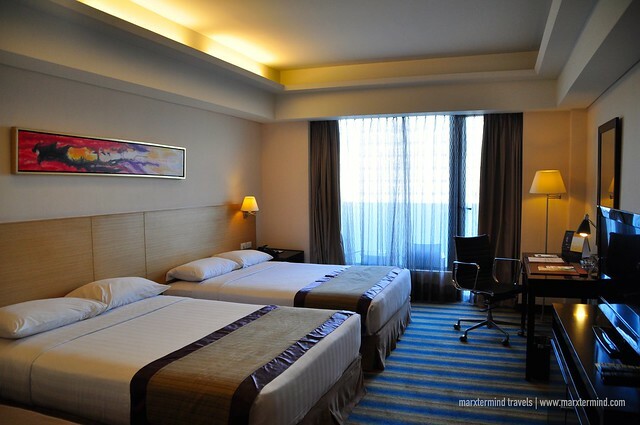 Another type of room at Luxent Hotel is Executive Suite. The suite has a separate living room and pantry and is even appointed with an espresso machine. This type of accommodation provides a lot of room for comfort and stylish entertainment. 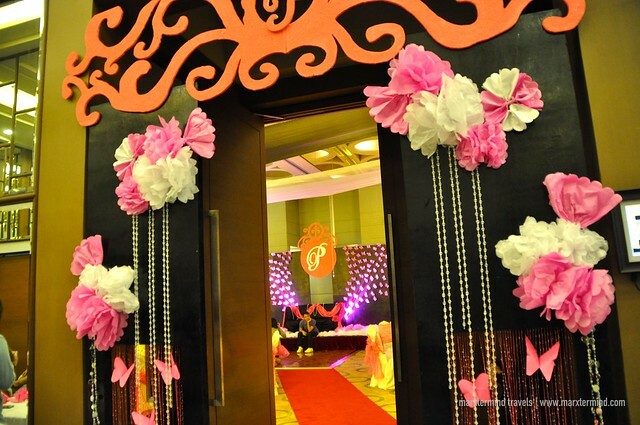 Another one is the Luxent Suite. This room said to be the presidential suite of the hotel. 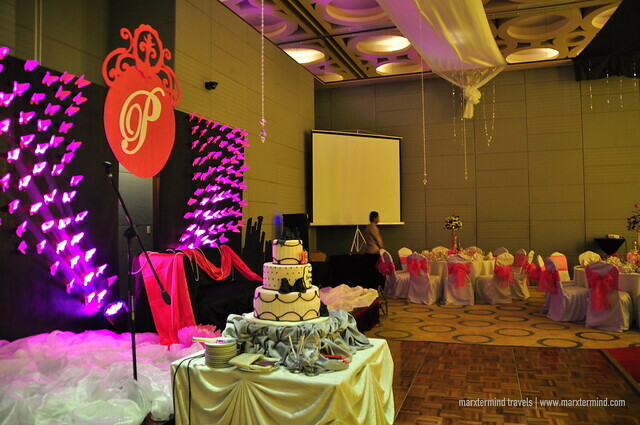 The room interior and amenities makes this suite the grandest hotel accommodation one can have in Quezon City. The suite has a spacious living room. It is also has a mini bar area and complete dining space. Another thing that Luxent Hotel boasts about their premium suites is that on this type of accommodation, they have 2 master’s bedroom. Each one has a large makeup room, private bath, tub, and toilet that are provided with high-end bath amenities. In addition, one of the bedrooms has a Jacuzzi. 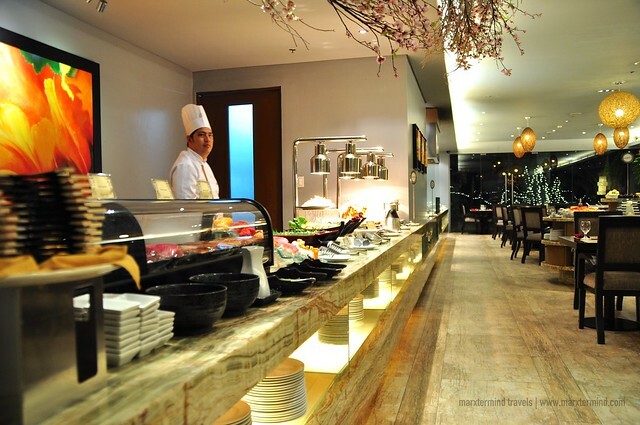 Luxent Hotel doesn’t only have well-appointed rooms; the hotel also has restaurants wherein guests and non-guests can treat themselves with an array of Filipino and international dishes. 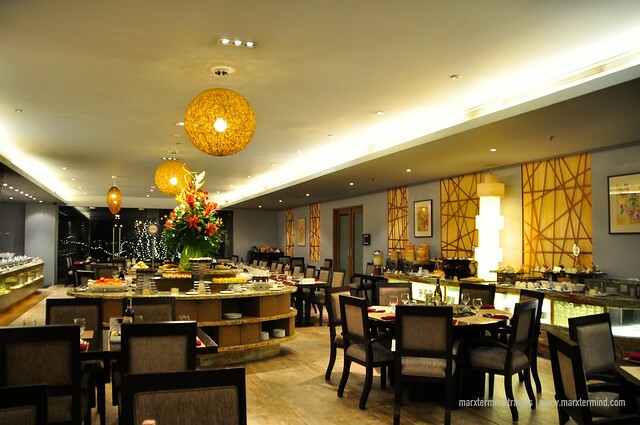 The hotel has two restaurants, namely; Lush Bar & Lounge and Garden Cafe. 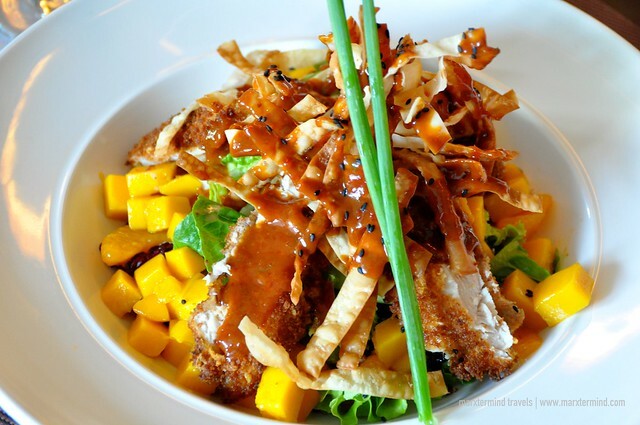 It was during lunchtime when we got to try dining in at Lush Bar & Lounge. The lounge is adjoining the lobby area. 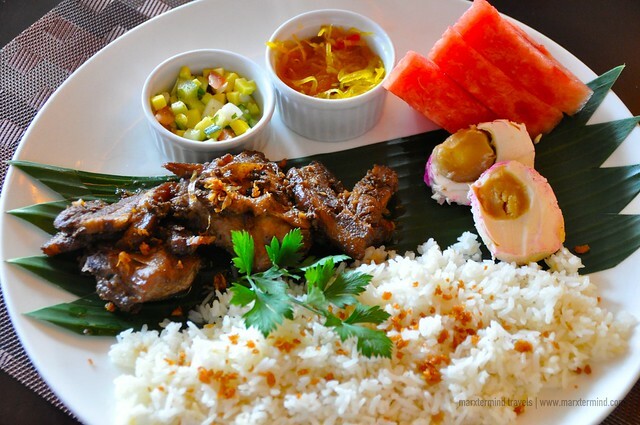 The menu is a selection of different entrees, appetizer, desserts and beverages. The selection was vast that I couldn’t choose what to have. 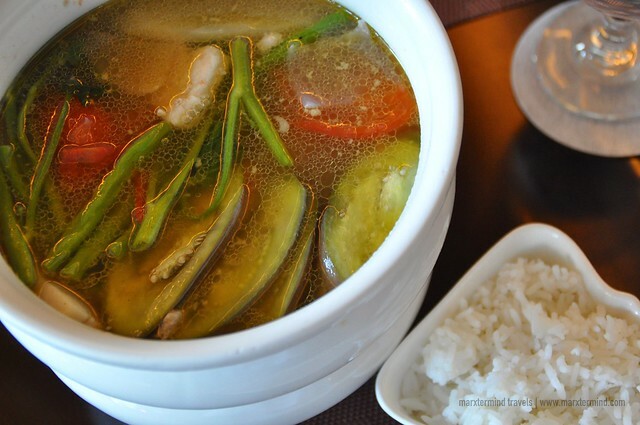 Well, I ended up having Pork Sinigang while the rest of my buddies had Japanese Platter, Ramen, Chicken and Pork Adobo, Roasted Chicken, Beef Tapa, Spaghetti Cioppino and Asian Salad. 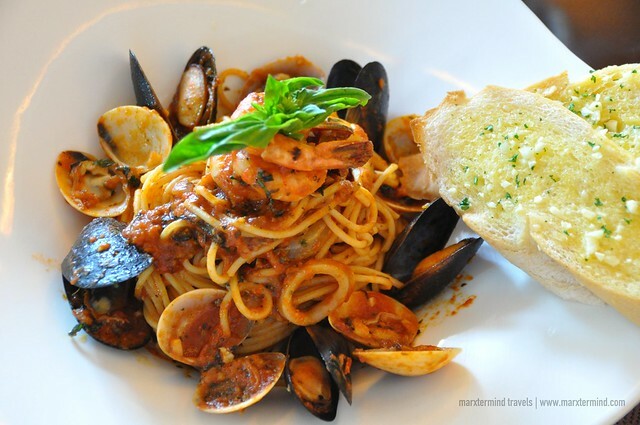 I enjoyed my order, which is pretty delectable but what truly tasted remarkable for me are the Spaghetti Cioppino and the Asian Salad. 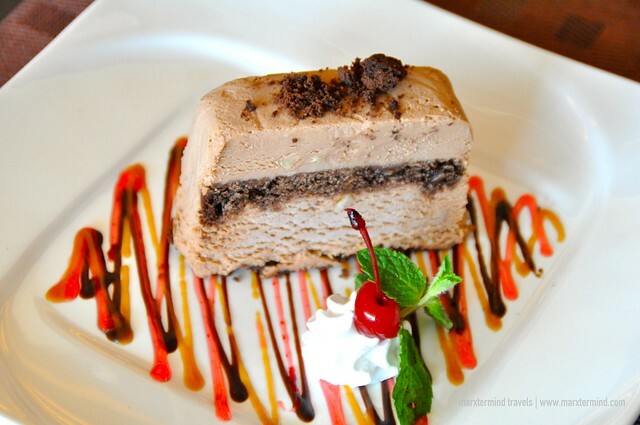 We also had a slice of Toblerone Cheesecake for dessert, which I was also able to like. Too bad, we only asked for a slice. One can also chill out at the bar and lounge area. 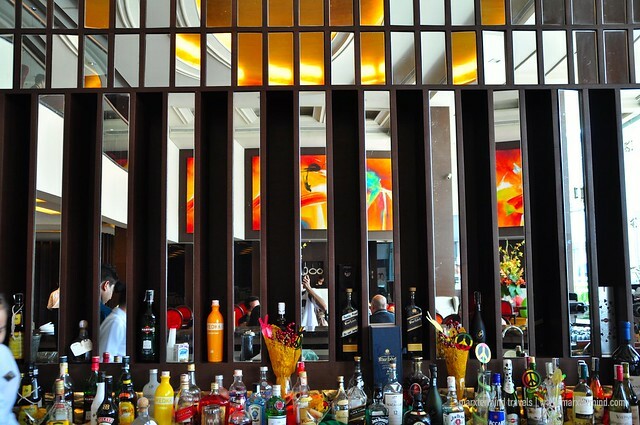 Alcoholic drinks and other refreshing signature beverages are also available. The Lush Bar & Lounge is open from 9:00 AM to 1:00 AM. It was in Garden Cafe wherein we had our dinner and breakfast. 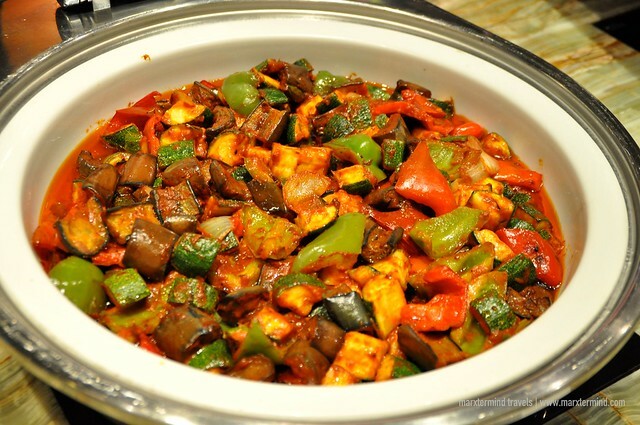 The restaurant offers variety of mouthwatering dishes served in buffet style. 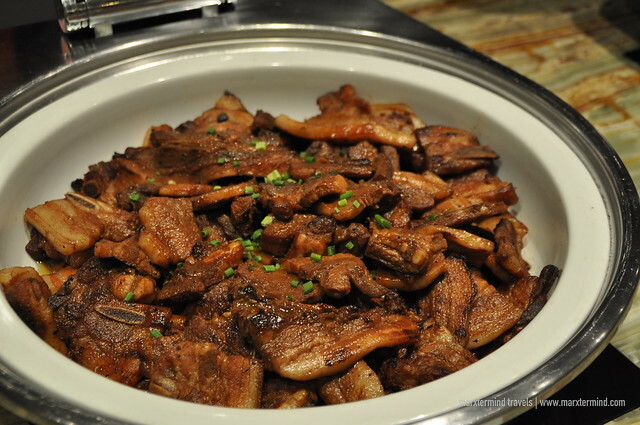 During dinner, the food selection comes from Japanese, Chinese, Filipino and other international fare. They also have sections for appetizers and desserts, which I had truly enjoyed. They also have ice cream section. 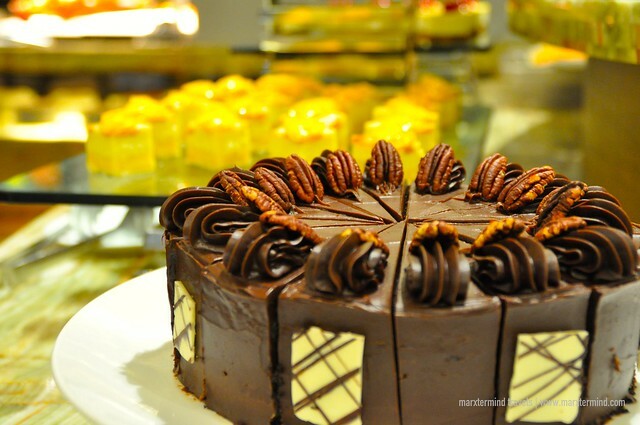 The dessert section was my favorite but too sad I was already full from eating those main entree and other tasty dishes that when it was already my turn to have some desserts, I only had a small plate of cakes and sweets. 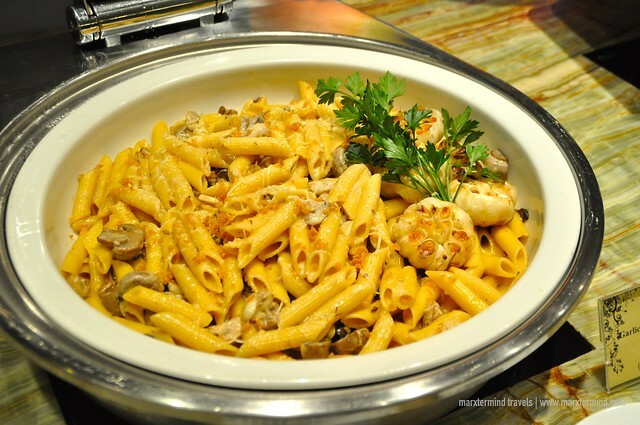 The dinner buffet is available from 6:00 PM to 10:00 PM. The breakfast buffet was also packed with different sections of our favorite breakfast food. 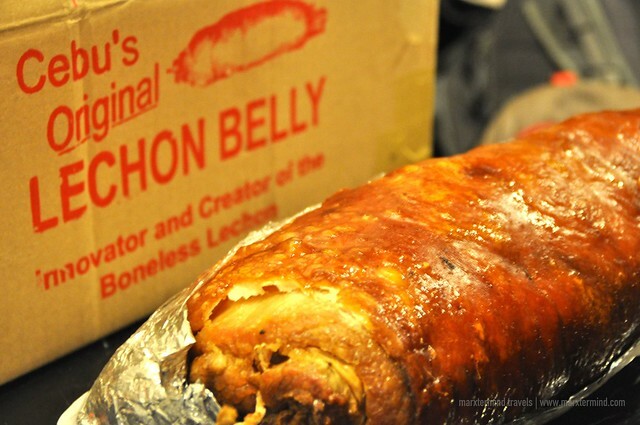 There’s a section for Filipino favorites, a section for bread and pastries, a section for bacon and omelet, a section for waffles and so forth. There are also cereals, fruits and yogurt. Juice and coffee also comes complimentary during the breakfast buffet. The buffet breakfast is available from 6:00 AM to 10:00 PM. 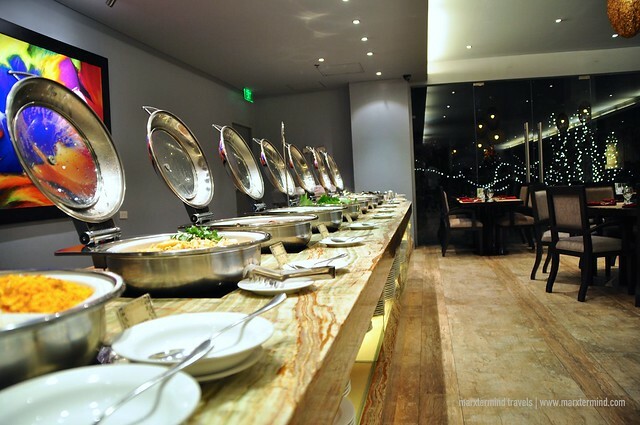 Luxent Hotel also has a comprehensive range of business and recreational facilities. 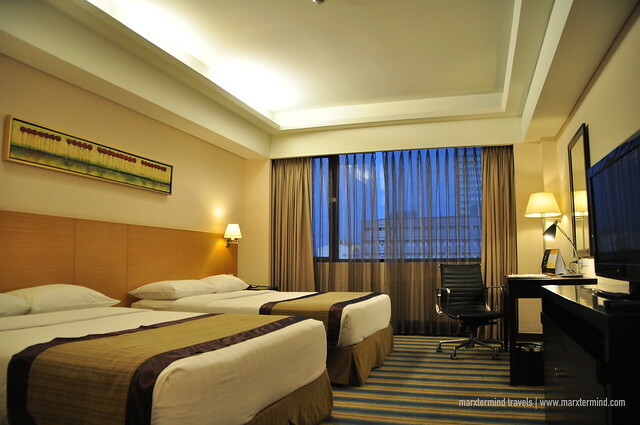 The hotel has business center, multilevel parking and ballroom and function halls. The hotel also offers 24-hour concierge and security, airport transfer and laundry services. 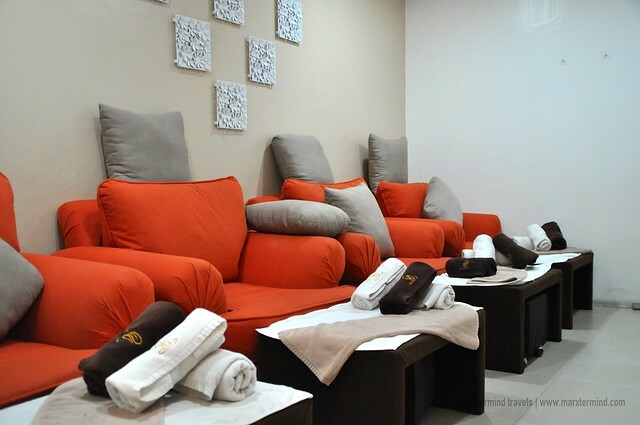 The hotel also has an in house spa, in case guests want to rejuvenate or feel more relaxed. The hotel also has fitness center, which is free for use by guests. 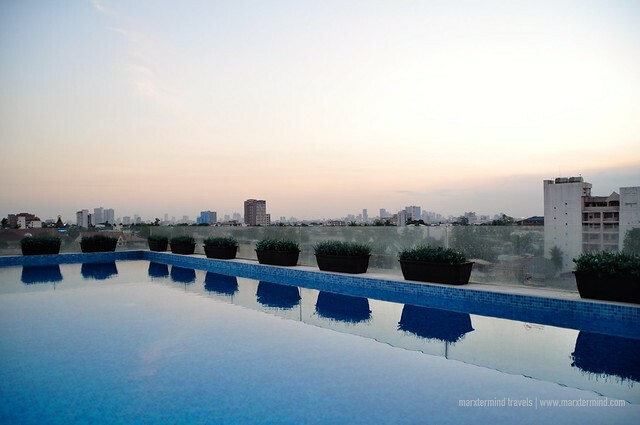 But among all the facilities that the hotel has, what we had truly admired and enjoyed was the infinity pool. By the looks of it, I think I don’t have to explain further why we loved it. Actually, before we checked out and headed home, we spent some hours first in the pool area, swimming and taking pictures of our crazy stunts. The clear glass swimming pool just looked stunning and amazing. 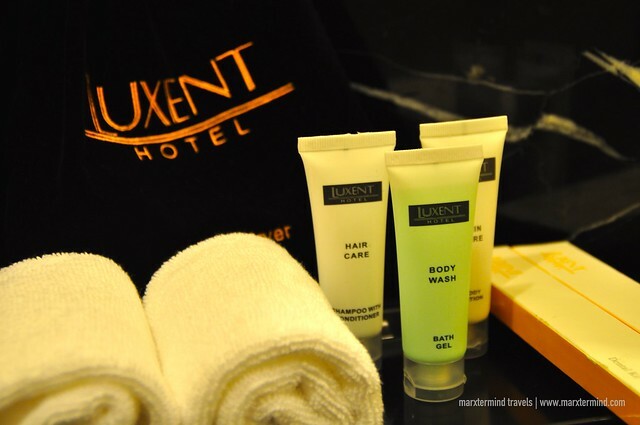 From rooms to food to amenities, Luxent Hotel can really claim that it’s one of the most luxurious hotels in the city. The rooms are properly fitted out, the restaurants offer satisfying food and the facilities are extremely great. 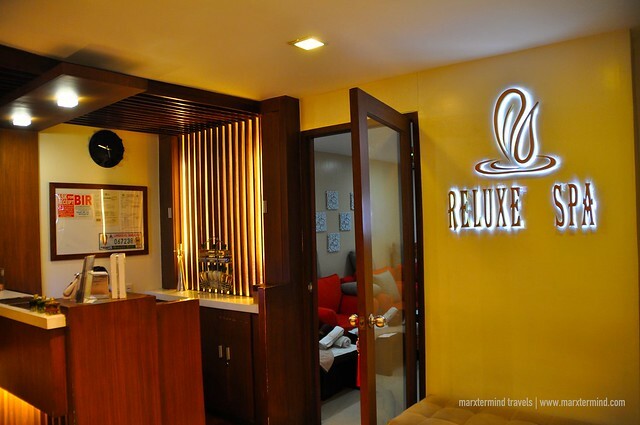 But more than that, what is truly noteworthy was the supportive team of Luxent Hotel that made our stay on this part of Metro Manila truly awesome. With that superb hotel experience, I guess I’ve finally found the reason to visit Quezon City more often now, and that is to spend more staycations. 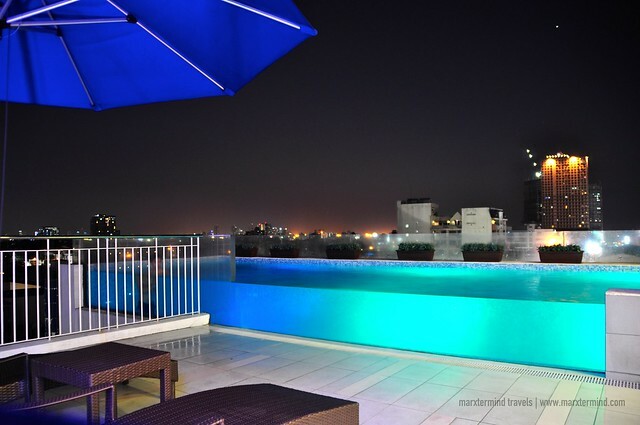 Book your stay through this link to get room discounts for this hotel.